Check out the highlights from Natalie and Matthews’ Classic New Orleans Backyard Wedding we had so much fun shooting their special day! Matthew and Natalie met through mutual friends while tailgating at a LSU game. Natalie a New Orleans Native, and Matthew from Baton Rouge, shared a fondness for their Tigers. From there, the two became fast friends and eventually their friendship grew into romance. Matthew popped the question and Natalie said YES! Preparation was underway for the big day from picking the caterers, a DJ verses a band, the cake, the florals and most important of all, a venue. Natalie and Matthew chose to have a classic southern backyard wedding at Natalie’s family’s home. 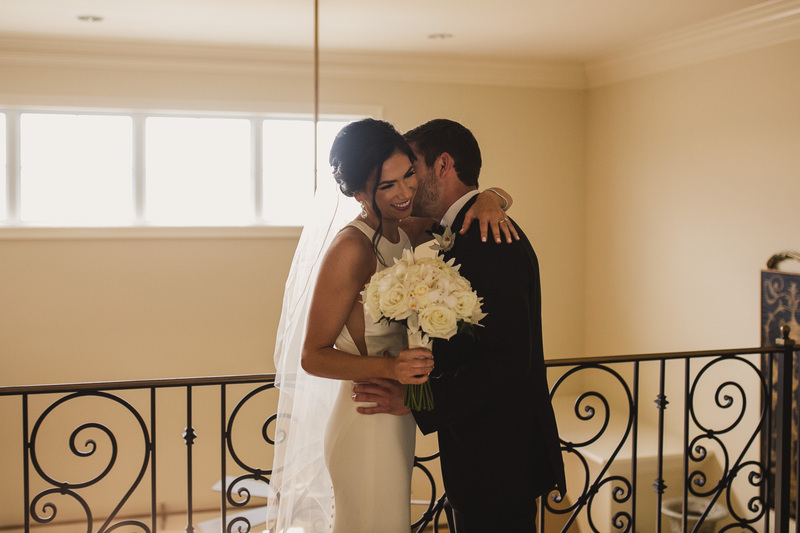 On the day of, Natalie’s childhood home transformed into a stylish classy venue. Meanwhile, Natalie and her girls were prepping and preparing to walk down the aisle. Childhood memories, future endeavors, and best wishes for the bride were being shared over a champagne toast, and sugar cookies- our personal favorite. Meanwhile Matt and his guys were getting ready at Matt and Natalie’s home down the road. Matt’s anticipation of seeing Natalie for the first time was growing more and more with each minute. As the couple added the final touches, the time had come to finally see each other for the first time. When Matthew saw his beautiful bride for the first time, he could barely contain his excitement. We quickly stole the couple away to capture a few stunning photos of the two. With well wishes and lots of love, the newlyweds were sent on their way with a round of sparklers. We were honored that Natalie and Matthew chose Diaz Nola Photography to capture this beautiful Classic New Orleans Backyard wedding and wish the couple many years of happiness!